You want a Megaboom!! shirt? Sure you do. $13 + shipping and handling. 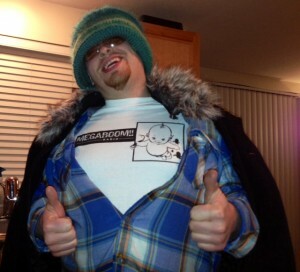 For our Winter Collection Charlie sports the MegaShirt!! with sleeves. 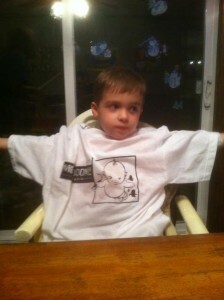 Our Youngest Announcer (see episode Beakface) Looking good! Dr. Matt and Eliana, rocking the MegaShirt!! Satellite Jesus himself aka Mr. Smith ready for a night on the town/rasta Eskimo village. Want to see your face here? 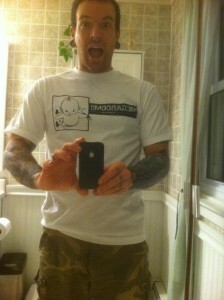 Send us a photo doing something awesome and or wearing our shirt.